Learn how you can access a $1 trillion market – the disability community! With Hollywood striving to boost diversity and inclusion, opening the inclusion umbrella for America’s largest minority – the one-in-five Americans with a disability – is the right thing to do as well as economically smart given that the disability market is valued at more than $1 trillion. The success of films like Black Panther, Wonder Woman and Coco prove that diversity wins. According to Nielsen Research, consumers with disabilities represent a $1 billion market segment. When you include their families, friends and associates, that total expands to more than $1 trillion. Americans with disabilities represent the third largest market behind Baby Boomers and the mature market. 1.2 billion people on earth have a disability. However, storytellers often make glaring, yet easy to avoid, errors when covering our community. The purpose of The Hollywood Disability Toolkit: The RespectAbility Guide to Inclusion in the Entertainment Industry is to help entertainment professionals who wish to ensure they are as inclusive of people with disabilities as possible. The toolkit, which is available online for free, offers Hollywood professionals the facts and sources they need to get disability inclusion right. Watch the webinar to learn more about how the toolkit can assist you in your work or how you can become more involved in our efforts. The creation of this toolkit would not have been possible without the financial support of The California Endowment. View the toolkit online: https://www.respectability.org/hollywood-inclusion/. Learn more in Variety’s piece on the toolkit. Kate Folb came to Hollywood, Health & Society after working for more than 20 years in the entertainment education field. After an early career in television and music production/management, Folb joined the Scott Newman Center as director of special projects. There, she worked with top TV shows and films on issues of alcohol and other substance abuse. Later, she spent nearly 10 years as director of the Media Project, a partnership of Advocates for Youth and the Kaiser Family Foundation, which addressed portrayals of adolescent reproductive health in the media. In 2001 she led Nightingale Entertainment, an independent consulting firm working with foundations and national nonprofits including the Robert Wood Johnson Foundation and Planned Parenthood Federation of America on entertainment education and celebrity involvement in national media campaigns. Folb speaks fluent Spanish, holds a bachelor’s degree in Spanish from the University of Denver, and a master’s degree in education from UCLA. Lauren Appelbaum is the communications director of RespectAbility, a nonprofit organization fighting stigmas and advancing opportunities for people with disabilities, and managing editor of The RespectAbility Report, a publication at the intersection of disability and politics. Previously she was a digital researcher with the NBC News political unit. 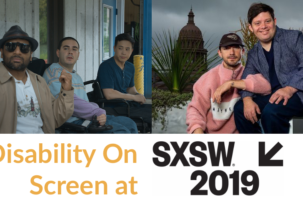 Appelbaum currently oversees RespectAbility’s outreach to Hollywood to stand up against ableism and other prejudice – while promoting positive, accurate, diverse and inclusive media portrayals on TV and in film. Appelbaum has a master’s degree in Broadcast Journalism from Syracuse University; she also has undergraduate degrees from Columbia University and the Jewish Theological Seminary. She also she serves on several national and local nonprofit boards. Jose Plaza is currently an Account Manager at the California Endowment. Plaza has previously worked for Hillary Clinton’s presidential campaign in 2016 as their Latino Vote Director in Florida, and for Enroll America as their National Director of Latino Engagement. Plaza earned a Ed. D in Higher Education from the University of South California in 2009. Donna R. Walton grew up dreaming of becoming a great performer. Facing crowds fed her soul, but fate had other plans. Losing her leg in 1976 to osteogenic sarcoma, a potentially fatal form of bone cancer, Walton became motivated to fight for the respect and dignity she believes all people deserve, especially African American women with disabilities. 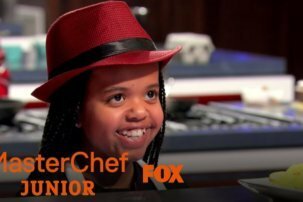 In 2012, she founded the Divas With Disabilities Project, a digital campaign aimed to support women of color with disabilities. The bulk of Walton’s work highlights diversity and disability awareness. Walton is perhaps best known for her facilitation of Empowerment Salons for young girls and women of color. Drawing from her background in counseling and education, she conducts Empowerment Salons and workshops to teach women how to embrace their inner strength, to gain self-confidence and self-control over life’s challenges. Walton is also a member of RespectAbility’s Board of Advisors. Gail Williamson is a talent agent and head of the Diversity Department at Kazarian/Measures/Ruskin & Associates. The department focuses on representing clients with diverse disabilities. Williamson began her career as an advocate for talent with disabilities with the California Governor’s Committee for Employment of People with Disabilities working in their Media Access Office in Los Angeles in the early 90’s. 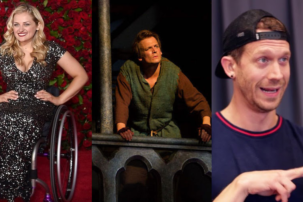 To date, Williamson has represented talent with disabilities on Broadway, as network series regulars, as recurring characters and more. She is happy to ask “Why couldn’t the attorney use a wheelchair?” or “Couldn’t that mom be deaf?” or “Why can’t grocery bagger have Down syndrome?” Williamson’s own son Blair, who was born with Down syndrome, is an accomplished actor. His work was the beginning of her media training and eye opening experience on how media images can change public opinion.